Increasing numbers of UK shippers are switching their container import gateway from the congestion of Southampton and Felixstowe to Liverpool. According to freight forwarders and importers, the Mersey port’s enlarged terminal capacity since it opened its deepwater Liverpool2 terminal in late 2016 has meant an absence of demurrage and detention charges, as well as faster truck turnaround times and available haulage. These factors have been thrown into sharp focus since the congestion issues began at Felixstowe in the summer and later spread to Southampton. German power tool manufacturer Einnhell decided to transfer all container imports from Felixstowe and Southampton to Liverpool and use one of the several port-centric logistics solutions around the city as a platform for its hinterland supply chain. Tom Chambers, Einhell UK MD, explained: “Holding our stock inside a third-party logistics warehouse inside the port has significantly reduced our shunting costs to only 12% of the previous cost of shunting containers from Southampton. 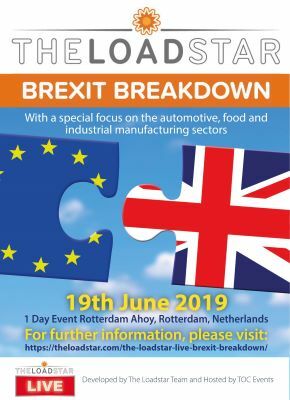 “The flow of stock from quayside to warehouse is also much more efficient, and we can now have stock available for picking the day after it arrives in the port. This compares with the previous best case of four days receiving stock from the usually heavily congested ports in the south. His comments were echoed by forwarders claiming the long wait for available haulage to retrieve containers out of Felixstowe and Southampton was making their business models unsustainable. “The logistics business says the situation is not sustainable for its customers; haulage booking availability can be in excess of 14 days for Felixstowe and Southampton, with the port charging cargo owners rent for containers that remain on the quay in the meantime,” said Dave Hoban, operations director at Mersey Forwarding. However, in a customer advisory today, Southampton terminal operator DP World said that congestion levels at the port had dropped and its services to hauliers were improving. “There is no congestion and truck turnaround times are back to their expected operational levels. “We still have a very high number of empty containers in our yard and the dwell time (the length of time a container stays in the terminal before it is picked up or shipped out) is higher than average. “This means that, while our operational performance has improved, our stack levels still remain high,” it said. It was originally in response to the mounting congestion at Felixstowe, 2M partners Maersk and MSC switched two deepsea services to Liverpool in July, and Liverpool owner Peel Ports’ chief executive, Mark Whitworth, urged shippers, forwarders and carriers to rethink their UK ports of entry. “The arduous situation in the UK retail sector is well-documented. The last thing it needs is to be unnecessarily hobbled by a logistics crisis with no end in sight. This is an avoidable situation and we would urge shipping lines, forwarders and cargo owners to talk to us about how we can get their cargo moving again rather than having to face a delay that shows no sign of abating,” he said. 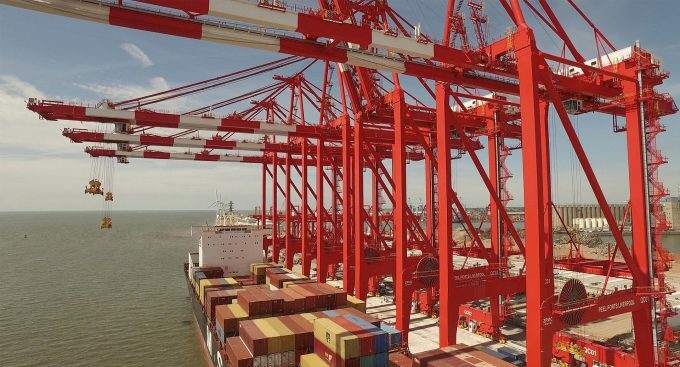 Peel Ports said the £400m Liverpool2 terminal has some 70% available capacity, with no queues for arriving vessels and an average truck turnaround time of 42 minutes. It has so far this year seen a year-on-year throughput growth of 8.7%. Last year it processed 432,723 boxes. “Peel Ports is ready to welcome cargo destined for the UK as well as shipments bound for international destinations from the UK, and we have ample capacity to do so. Liverpool2 was developed specifically for large deepwater cargo vessels. With a growing proportion of the UK’s logistics and warehousing facilities based in the north and the Midlands, there are multiple benefits to containers arriving in Liverpool,” Mr Whitworth added. DP World Southampton’s performance is back to normal. There is no congestion and truck turnaround times are back to their expected operational levels. Thank you – we have updated the story accordingly.